The double entry. A small town with 25 companies that take on the challenge of uniting business with person-centeredness. A woman nervously continued to turn herself around and look behind her. One, two, three, ten times a day. The others did not understand what she had. They thought it was a nervous tick. She had worked in the factories of third-party textile goods and footwear manufacturers for a lifetime, here in Val d´Arno. "I couldn´t explain myself," Emanuela Camisciotto says today, "because in the new business where I had ended up, the department head wasn´t always at our backs with a stopwatch, calculating how much time it was taking us to finish sewing an item. And I almost, almost wasn´t even able to understand why they didn´t insult me. For me, that was normal. It had always been like that. Here, they asked me, 'Please, can you do this? Please, can you do that?'" Smiling, she concludes, "Now, I don´t look behind me anymore." The Devil can be seen in details. Maybe, however, God can also comes to us and hides himself in an unexpected act of kindness. Emanuela is one of the twelve full-time employees of Fantasy, a small textile business specialized in comforters, cradles, bumpers and wall panels. Fantasy is one of twenty-five businesses housed at the Lionello Bonfante Industrial Park, founded by the Focolare in Incisa Val d´Arno (Florence). It is located just a few kilometers from Loppiano, the mainsmall town of the Catholic movement, created by Chiara Lubich during the Second World War to bring about the ideal of unity among people as well as ecumenism. It is a radical system of thought that generated the so-called "economy of communion." The stop-watch armed, foul-mouthed department head is the last relapse, in third-party production of today´s capitalism at large, of "time and methods" that have governed the 19th century Ford assemblyline-style world machine. Instead, the problem of who is the other, either a Chaplin style machine that sews and resews at a programmable speed or a human being to treat as a "neighboring brother", is the heart of the answer developed by these strange Christians, as much numerous as silent and willingly disinterested in the structure of contemporary ecclesial power. It is an answer that, in the microcosm of small business, undermines the standard organizational profile. "Let´s be clear," said Luisa Colombo, who, in a business like Fantasy, where hierarchies are totally unstructured, has "responsibilities". "Not even I found it easy to change mentality," she said. Luiso Colombo is a "Brianzola" from Garbagnate Monestero (Lombardy) who, before becoming a Focolarina in 1987 and moving to Loppiano, the movement´s main center in Italy, was very familiar with the productivist and performance mentality of our North. Her parents had a software business, her aunt and uncle a precision parts production company. "For them," she underlined, "work is an essential dimension where gratification comes from reaching results. Here, the impact with work is the relationships with people, and then - in relationship with the other - you obtain results." 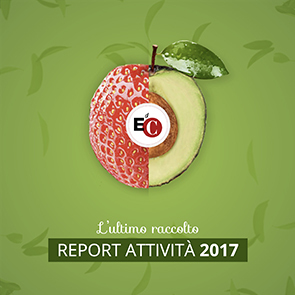 In addition to the twelve permanent employees, chosen on the market for their abilities, the women focolarine who pass through Loppiano also help support Fantasy´s demands from the market. "At the beginning, I went crazy," admits Colombo, "because it didn´t make sense to apply the pattern I knew since childhood, the role of processing work in a short amount of time, to the African and South American focolarine. Then, I understood that the Africans are more psychologically stable than me, and the South Americans were more playful than me, than us." Therefore, they were deprived of that anxiety that permeates our small businesses, vital but feverish, and at times so concentrated, heads down and motor on, that they are obsessive with results. These challenges also seem to exist for Fantasy, given that it invoices a few million Euro annually, selling its products to 500 stores and which still needs to make ends meet in a difficult crisis year. This business, part of the Pafom Association, has a precise method of dividing profits. For example, in 2007, when having closed it´s best year, with 100 thousand Euros earned after taxes, profits were evenly split between reinvestments in the business and Pafom, which finances the activities of Loppiano. Beyond elements of relationship and good practice ("To be faithful to our principles, we don´t work illegally") - it must be said that all small entrepreneurs interested in respecting even just the civil code should follow these guidelines - a qualifying element of the economy of communion is the division of profits. One third is reinvested in the business, a third goes to the poor and a third goes towards the cultural formation of the community. This kind of profit allotment, when there are profits, deals with a reality in Italy that numbers 200 businesses and 3000 managers (with a total estimated sales of 400 million Euro). Throughout the world, the project includes 700 businesses located in six industrial parks and which give work to nearly twelve-thousand people. "It´s not that we hurt ourselves," says Giuliano Bertagna, 66, who owns a textile company with her husband. "The businesses distribute profits when they are in the position to produce them. The idea of giving work is more important that generating profits. Naturally, this holds true as long as giving work does not risk the long-term well-being of the business, an essential goal." The Bertagnas have tried to follow this complex balance since 1991. Then, Giuliana´s husband, Giovanni, decided to leave the family business, Mondial di Brescia, and start Bertagna Filati in order to put the economy of communion principles into practice. "We earned well and were therefore able to give wealth, especially in the 1990s," said Giuliana. "Until 1996, we dedicated ourselves to production, selling mostly to Mondial. Then, for a series of reasons, we decided to commercialize our products, and we consequently become competitors with the business of my husband´s family members. It was not an easy decision, but we made it." Beyond the problem of family relationships, this strategic choice resulted in a drastic fall in sales, which in 1996 had been equivalent to 5 billion Lire. In their best year, in 2001, their proceeds leveled off at 1.7 million Euro. In 2007, the Bertagnas sold the business and moved permanently from Brescia to the Lionello Bonfante Industrial Park in Incisa. There, they opened Filocaffé, inspired by Knit Cafés where, as in the United States and in Northern Europe, women knit while they eat cake and drink cappuccino. At Filocaffé, Giovanni and Giuliana also sell balls of yarn and sweaters. The Bertagnas are experienced in manufacturing, and they make and package blankets, which are then sold under the Fantasy brand. It so happened that these blankets end up being sold on the cradles and beds made by Azur, who, with 8 million in annual sales and 62 full-time employees, is the most structured business of Loppiano. Umberto Giannettoni heads Azur, which exports 12% of its earnings in the Ukraine, Great Britain, the United States and Dubai, and which must also come out even this year. Giannettoni, 74, is very familiar with the mechanisms of classic 19th century capitalism. Half of his family worked in the Bank of Italy. After his debut at the Business Credit Association of Milan, he worked in Brussels, where the Bank of Rome took care of the interest of large investors from both Italy and Belgium. He had a shining career. Then, at 30, he left it all to follow the Focolare Movement. "In 1965," he remembers, "by request of Chiara Lubich, I went to New York to begin a branch of the movement´s publishing house, New City Press. I lived in Queens. At that time, New York was marvelous and full of contradictions." It was during those five years in New York that the ex-banker-become-focolarino felt the crackle of vanity´s bonfire and observed the thousands of lights of a cultural and anthropological energy - not superior but different in respect to the European tradition. "I learned the simplicity of doing things, and that money is an ordinary good, useful for bringing about works." This gives some idea about how an anti-consumerist but not obsessively paurperistic movement, like the Focolare, perceives money. A practical approach that permeates the management of these businesses: "our Azur," says Giannettoni, "has a net operative margin of 5 percent. A good result." But, beyond indicators of efficiency, at Loppiano they try to found their work on the practice of a kind of economic democracy. The EdC Spa whose acronym stands for Economy of Communion, has a share capital of 6 million Euro, with 5,671 shareholders and voting rights that can stop a proposal with only 5 percent. Among shareholders are the Banca Ethica, Msp, the Banca di Credito Cooperativa of Bascia and Reggello and that of Pontassieve. The widespread nature of the EoC universe, which in its anarchic and free vitality pretty well reproduces the essential character of the capitalism in our country, the EoC to some degree has the task of rationalization. "Beyond having built and managed the buildings of the industrial park," explains Eva Gullo, president of the EdC Spa, "we have a formation agency, and we organize conventions and cultural events on the economy of communion." Living together with others, producing, selling, distributing profits by reinvesting a part of them and giving the rest to the poor. This is a chain that firmly remains inserted in the providential framework. "When we get down to it," concluded Lecchese Luisa Colombo with pragmatism, "we do all of this always keeping in mind and heart that passage of the Gospel of Matthew that says 'seek first the kingdom of God and his righteousness, and all these things will be given you besides'. I know that for some people we seem on the borderline to absurd, but this is how we live." "Unrealistic? There are also two Nobel laureates on our side." "We´re not stuck in our ideas, neither are we unrealistic. Our project has theoretical backing." Luigino Bruni, associate professor of political economy at the university of Milano-Bicocca, explains how the economy of communion, originating from an intuition of Chiara Lubich in 1991, is not "something else" with respect to the prevalent economic culture. "Neoclassical theory," he says, "is wanting anthropologically speaking, but it is elastic. Therefore, it is possible to expand its basic elements, for example, the function of utility can be enriched with the specifications of public utility and private utility." Therefore, Bruni, stefano Zamagni and Benedetto Gui, to site the three most notable economists among the 30 Italians committed to these topics, write papers using categories like reciprocity, relational goods and happiness. And, Bruni claims, they do not move in a strictly provincial environment. There are many foreigners dialoguing with them, including two Nobel laureates: Indian Amartya Sen, theorist of the poverty index and the inspirer of microcredito, and Israeli Daniel Kahneman, who has integrated economic science and psychology together into one body. Therefore, almost twenty years of study and systemization have passes since Chiara´s intuition. On her way to Brazil, observing the contradiction of skyscrapers surrounded by favelas, she felt deeply that businesses would have to try to do business differently. A different way that sociologist Tommaso Sorgi, also focolarino, formalized with the definition of "economy of communion." Today, besides in Italy and in Brazil, there are industrial parks in Croatia, Argentina and Belgium, while others are in development in the Philippines and in Germany. These phenomenon align themselves to a thought that, beyond economic theory, also has a direction relationship with the theological-philosophical tradition. It is not by chance that Pope Benedict XVI cited the economy of communion in his encyclical Caritas in Veritate, writing about the necessity to arrive at a "progressive openness, in a global context, to types of economic activity characterized by quotas of gratuitousness and of communion" and citing "the variegated world of subjects of the so-called civil economy and economy of communion." "Chiara Lubich was a third-order Franciscan," said theologian Piero Coda, president of Sophia University Institute, founded at Loppiano two years ago. "Therefore, she was a carrier of the specific identity that re-enters into the tradition of prophetic Christianity - a tradition with a strong utopian dimension that has made a mark in the history of Western economics. It is enough to remember the Franciscans who founded the Monti di Pietá in 1400 A.D., giving loans to small entities in exchange for a deposit." Coda, who in his youth was student to the master of existentialism, Luigi Pareyson, highlights the profound epistemological crisis which economics is heading towards. In many cases this crisis has alluded to, if not even defined, that its laws are natural. The roots of the current crisis are also planted in the historical reality that used economics as ideological structures: Marxist materialism in the case of real socialism and free trade for the upset of financial capitalism. In front of these failures, what emerges is the urgency to take a road that rebuilds itself according to the universal origins of Christianity. "In the end," concludes Coda, "in the Acts of the Apostles, Luke tells us that fraternal union among the first Christians could be seen through their communion of goods."